Manchester United will look to continue our winning streak in 2019 and under caretaker manager Ole Gunnar Solskjaer when we entertain Brighton & Hove Albion at Old Trafford on Saturday. The Seagulls head into the weekend down in 13th place in the table, having won seven, drawn five and lost 10 of their Premier League games so far this season. Ole Gunnar Solskjaer has won all six of his games since replacing Jose Mourinho in mid-December, with five of those coming in the league. The Norwegian is expected to continue his winning start tomorrow. We are welcoming back Eric Bailly from suspension whilst Alexis Sanchez could be fit again to make the matchday squad after missing our 1-0 win at Wembley Stadium against Tottenham Hotspur last weekend. Brighton & Hove Albion will be without at least four of their first-team squad. First choice goalkeeper Mat Ryan is away on international duty with Australia at the Asian Cup. The Socceroos finished runners-up in their group stage to set up a second round match against Uzbekistan on Monday. David Button has been between the sticks for Brighton’s last three Premier League games – keeping a clean sheet in a 1-0 win over Everton, drawing 2-2 at West Ham United and beaten 0-1 at home by Liverpool last Saturday. This weekend’s visitors lost left-back Bernardo to a hamstring injury in their recent trip to West Ham. The Brazilian had started each of their last nine league outings before being sidelined. Gaeten Bong came back into the starting lineup last weekend and can be expected to face us this weekend. 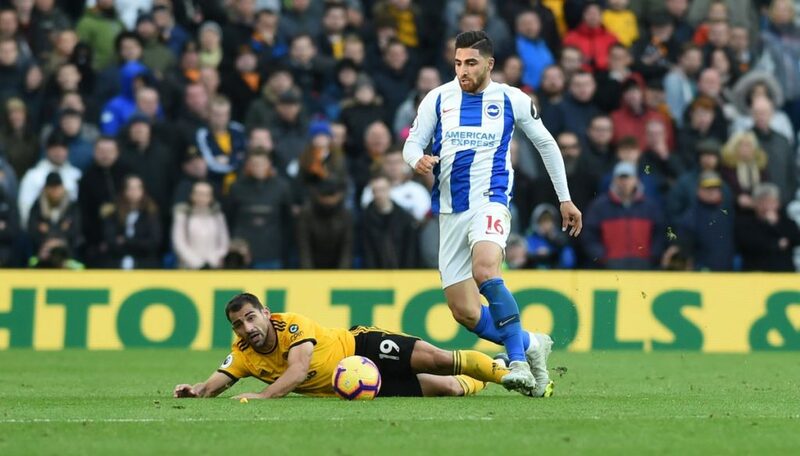 As well as Mat Ryan at the Asian Cup, Alireza Jahanbakhsh is currently over in the United Arab Emirates representing Iran. The club’s record signing helped his country win their group to set up a round of 16 match against Oman on Sunday. Fellow midfielder Jose Izquierdo is the fourth confirmed absentee for Brighton. The Colombian has been out with a knee injury since the beginning of December.